What a day! 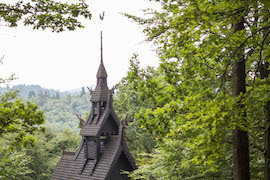 We started it by exploring a city rich in art, medieval history and natural beauty, and we ended it by “Freezing the Night Away with Anna, Elsa and Friends!” First let’s look at some of the places Disney cruisers experienced in Bergen, our last port of call on this fantastic Norwegian fjords voyage. Bryggen – the Hanseatic wharf in Bergen – was a starting point for many of our guests. 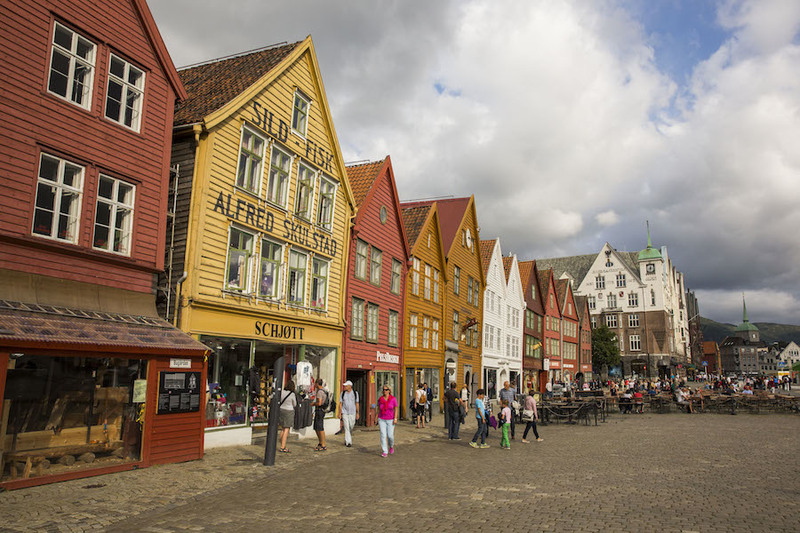 It is home to colorful wooden architecture, cobblestone alleyways, unique shops and al fresco dining. 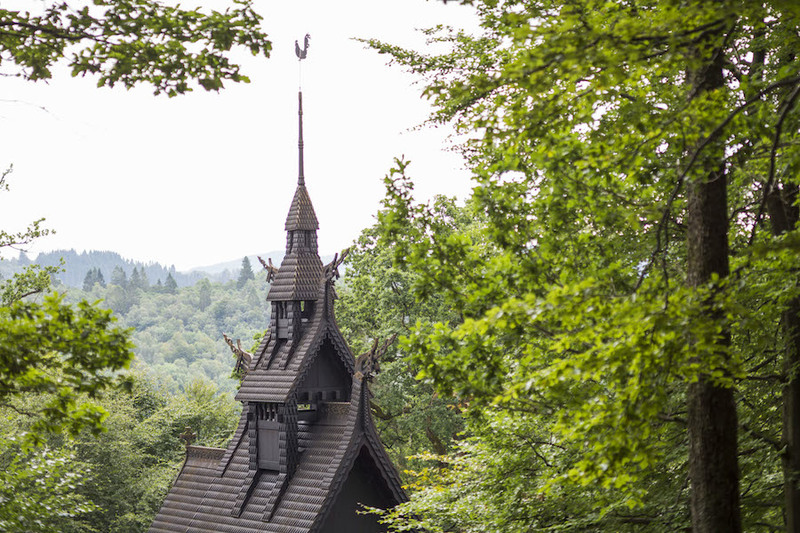 A few of our Port Adventures combined a visit here with another popular destination, such as the Fantoft stave church or the Mount Fløien lookout point. Back onboard, we celebrated the end of our time in Norway with this summer’s newest “Frozen” fun. Little cruisers and families joined us for “Anna’s Chocolate Chase,” an exciting scavenger hunt around the ship, and for “Oaken’s Maypole Swirl and Twirl” to learn a traditional Scandinavian dance, spinning and braiding giant ribbons. 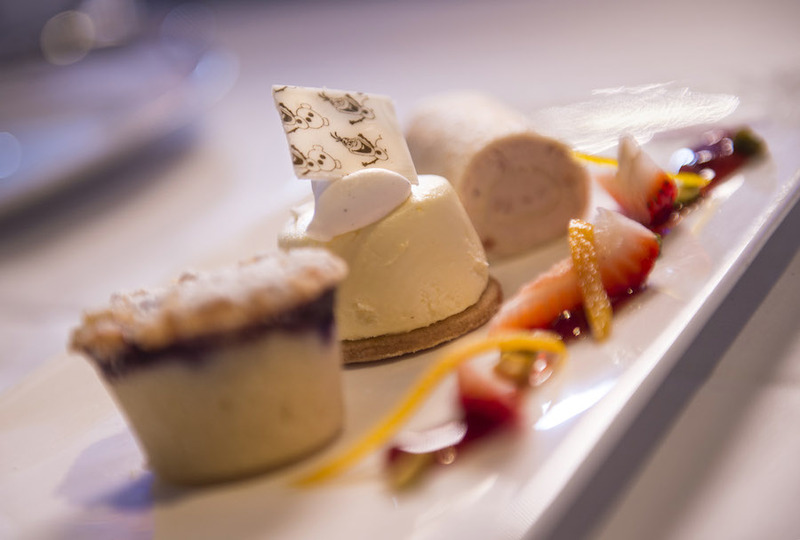 Even the dining team got into the fun with a menu inspired by traditional Nordic fare and special dishes and beverages inspired by the film. As sunset approached (at 10:15 p.m.!) we kicked off our celebration up on deck. The party started with high-energy line dances with Kristoff and Anna, followed by games virtually led by Sven, the trolls and Olaf. 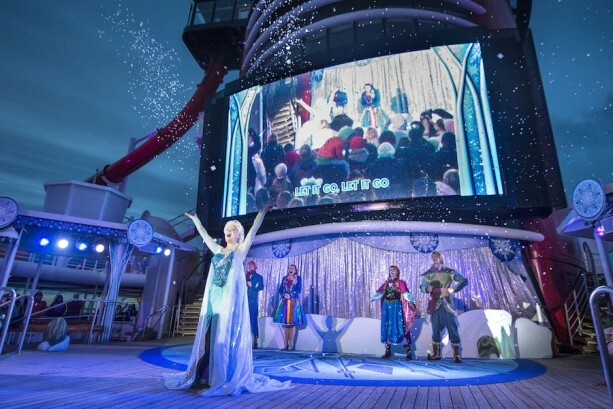 Then Elsa arrived with a snowy gust of wind, and in true Disney fashion, unleashed her magic as the sounds of everyone singing “Let it Go” along with her echoed from the ship. I still have chill bumps thinking about it! 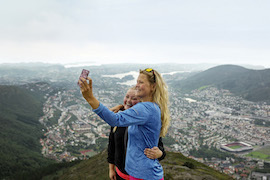 I hope you’ve been enjoying my live voyage report on our first-ever Norwegian fjords sailing. Stay tuned for my last post tomorrow when I’ll give you a glimpse of Anna, Elsa and Olaf on the big stage in our new “Disney Dreams…An Enchanted Classic” production number.